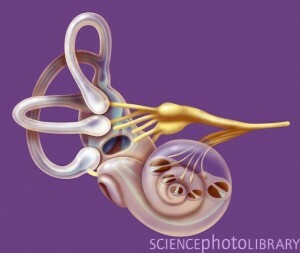 Today we are going to review the inner ear. For balance sensation in the inner ear we have 3 semicircular canals. They are the 3 looping structures on the first picture. As you can see they are lined up in different directions. They have fluid inside them, and a barrier across them that detects any movement of the fluid compared to the canal. When you move your head in the same or similar line to the canal, the canal moves, but the fluid stays still. Much like if you spin your coffee cup, the coffee inside the cup stays still (try it and see). Now, because the barrier in the canal moves with the canal, the fluid pushes against it, distorting it. There are little things called hair cell receptors attached to it that sense the movement. The receptors then activate the nerve cells, and they carry the messages about the movement to your brain. These canals work best for what are called rotational movement, like when you turn your head to look over your shoulder, or when you sit up in bed. This is because they are circular in shape. To detect what are called linear movements, we have the otolithic organs, the saccule and utricle. Linear movements are movements in a straight line, forward/backward, up/down and side to side. Driving forward in a car or train are linear movements. The otolithic organs have hair cell receptors in them too. But this time the ends are stuck in a jelly like substance, and on top of the jelly are little crystals (see the second picture). When you move in a straight line, the crystals tend to want to stay still (inertia), this drags on the jelly which sets off the hair cells receptors. They also then activate nerve cells that carry the messages to the brain. BPPV sufferers should be particularly interested in these crystals, because these are the crystals that come loose and get stuck in the semicircular canals. Then they can start to move, which also moves the fluid sending a signal that you are moving, even if you are not. Treatment is aimed at getting these crystals out of the canal. 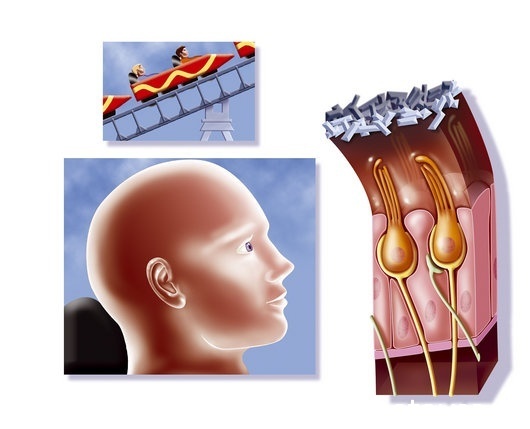 In Meniere’s disease, there is a pressure build up in the fluid that damages these structures over time. In viral labyrinthitis or vestibular neuritis, a viral infection affects the nerves or the hair cells causing them to send the wrong messages. So let me know. 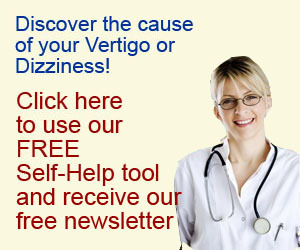 Has this helped your understanding of vertigo and dizziness? Are there any areas that you would like to know more about? Or can you add more detail for our other readers. Use the comments section below. Thanks! I have had a crisis of Labyrinthitis 6 years ago;was prescribed some tablets and that never repeated till yesterday. i love swimming,by the way i intend to go every day now that i’m off work and am afraid my situation could worsen.